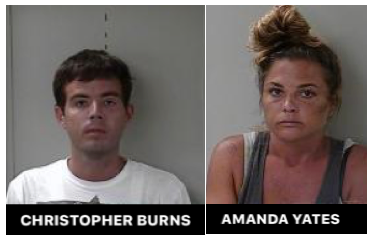 An Alabama duo seen by Murfreesboro Police Officer Jeff Carroll panhandling on South Church Street at I-24 have been arrested on drug charges. The officer reports questioning Amanda Yates, age 32, of Blountsville, Alabama, and 33-year old Christopher Burns of Springville, Alabama, after seeing them go to a nearby parked vehicle. After seeing marks on the arms of both, Officer Carroll asked for their syringes. 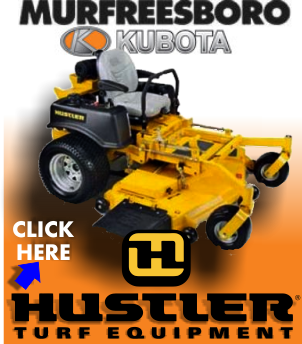 A search of their vehicle turned up "2.5 oz of Kratom, which is a controlled substance in Tennessee that causes hallucinations (salvia divinorum). Both were arrested for having the drug and paraphernalia in their possession and taken to the Rutherford County Adult Detention Center. Salvia divinorum and Mitragyna speciosa ("Kratom"), two unscheduled dietary supplements whose active agents are opioid receptor agonists, have discrete psychoactive effects that have contributed to their increasing popularity. Salvia divinorum contains the highly selective kappa- opioid receptor agonist salvinorin A; this compound produces visual hallucinations and synesthesia. Mitragynine, the major alkaloid identified from Kratom, has been reported as a partial opioid agonist producing similar effects to morphine.